Our attorneys possess sterling academic credentials, experience, strong community ties, and a deep commitment to your success. They demonstrate the strictest personal and professional ethics. Above all, they are passionately committed to the needs of our clients. We utilize state-of the-art technology and cost-effective methods to provide services in a timely, client-oriented manner. From the inception of our practice, the attorneys at Patel & Associates, PLLC., have shared the philosophy of keeping the client's interest paramount in every matter we handle. At each juncture, we strive to define the goals of our representation, develop a realistic budget for the performance of our work, and regularly communicate with our clients to develop the most effective and economical strategies. Our mission is simple: To obtain successful results for clients in litigation, immigration, family law, real estate ,business matters, and estate planning matters through diligence, efficiency and hard work. At our very core, we focus on each client's background, needs, and goals. That's where we start. With you. And we never stray from the idea that your needs set our course! 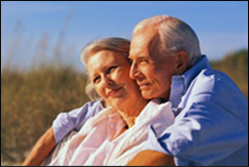 We provide competent estate planning advice to enable our clients to achieve their goals for lifetime utilization, and post-death distribution of their assets in the most tax-effective manner. Such planning ranges from the most simple to extremely complicated and creative strategies. We represent clients before the U.S. 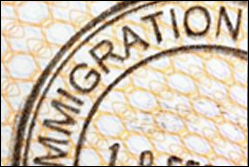 Citizenship and Immigration Services (formerly known as Immigration and Naturalization Service) and provide guidance in matters relating to family and employment based nonimmigrant and immigrant visas, naturalization, visitor, student and exchange visas, deportation and asylum and refugee matters. Personal injury cases are some of the most difficult to navigate, especially when you are hurting. Our firm provides professional experience in dealing with insurance companies so that you receive the compensation you deserve for your injuries. Our firm is actively involved in representing our clients in various business matters including business litigation. When litigation is inevitable, however, we approach it as both a business and a legal problem. We work hard to understand your business, and the effect litigation may have on it, and we seek the solution most appropriate to your specific business needs. We represent franchisees in various industries, including hotels/motels, convenience stores, educational services, fast-casual restaurant concepts, hair salons, shipping and mail services, staffing services, in reviewing and negotiating their Area Development Agreements (ADA) and Franchise Agreements (FA). Family legal matters often represent the most emotionally trying experience an individual or family will endure. Patel & Associates PLLC., provides professional counsel that is sensitive to individual needs, providing representation to Texas individuals and families.